What to expect: Prepare for an artfully inspired dining experience. The fifty-seat restaurant is painted with bright colors and vivid murals, while videos and photographs of the food stream across various screens. The technology and art experience has another dimension at Crudos Fusion Art: Crudos 3D, a customized app portrays their murals and dishes in 3D augmented reality. Just aim the app at the walls or the menu and you’ll see! 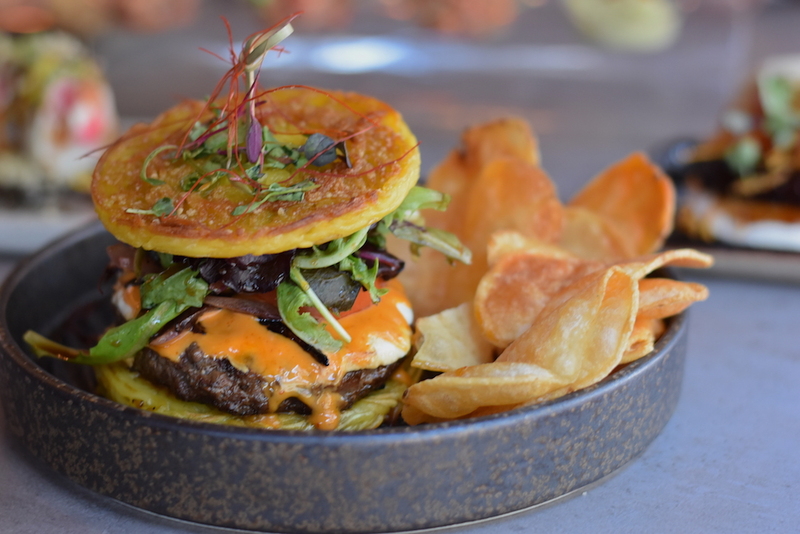 The Menu: Chef Edixon Hernandez, who attended Le Cordon Bleu in Peru, has curated a menu of globally inspired cuisine befitting the cultural melting pot that is Wynwood. The menu features snacks, ceviche, rice and noodles, specialty rolls, and more. The Cloud Pork Belly is an adventurous way to start a meal. 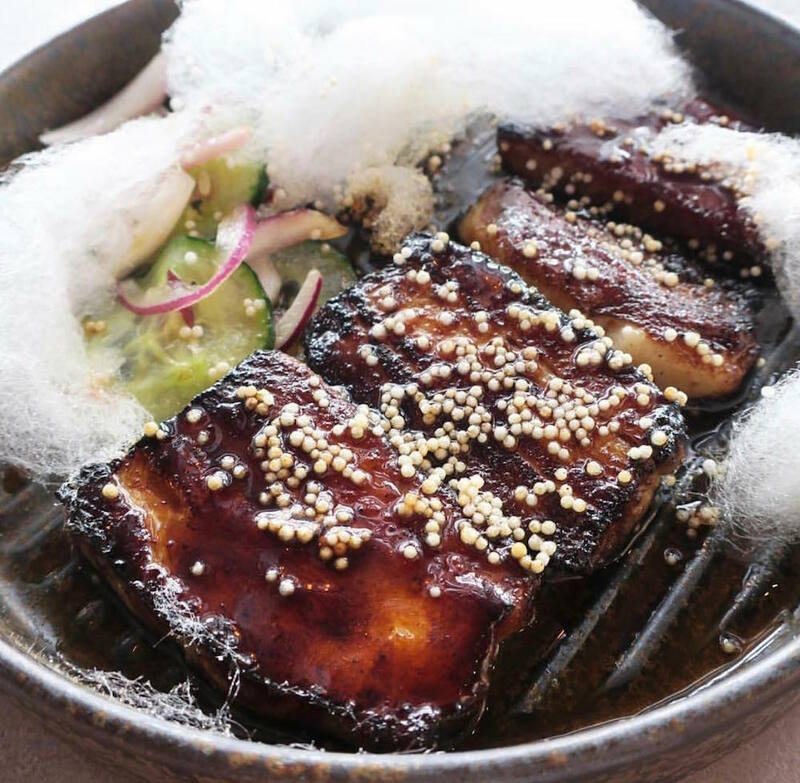 The dish is presented with a “cloud” of cotton candy, which melts when the server pours ponzu sauce over it, revealing tender miso glazed pork belly with crispy rice, pickled cucumber and red onions. 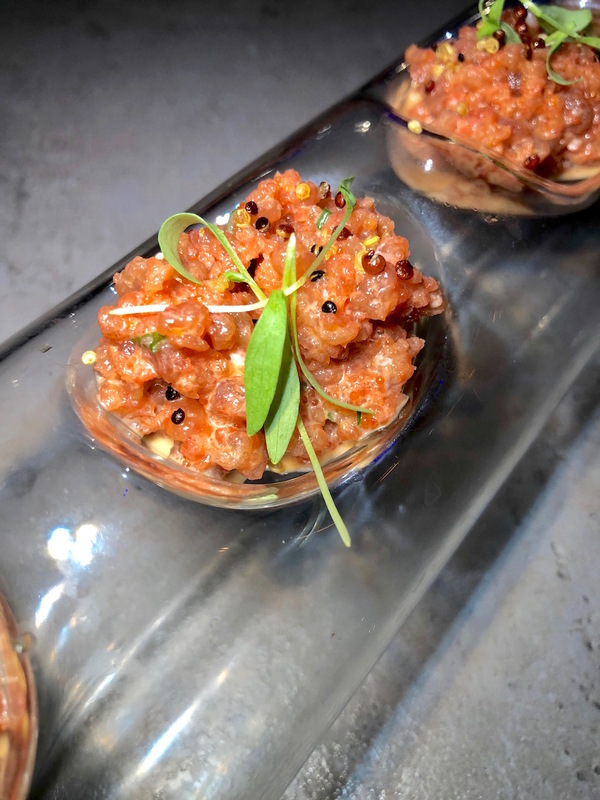 We also recommend the Tuna Tartare with hass avocado, tricolor quinoa, tobiko, and ponzu sauce. 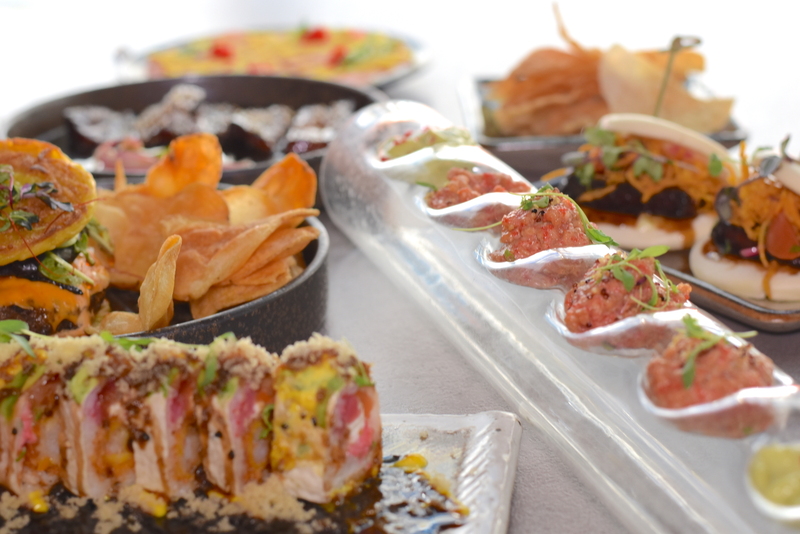 The tartare is smoked tableside, which enhances the flavor, and is best enjoyed on its crispy wonton chips. 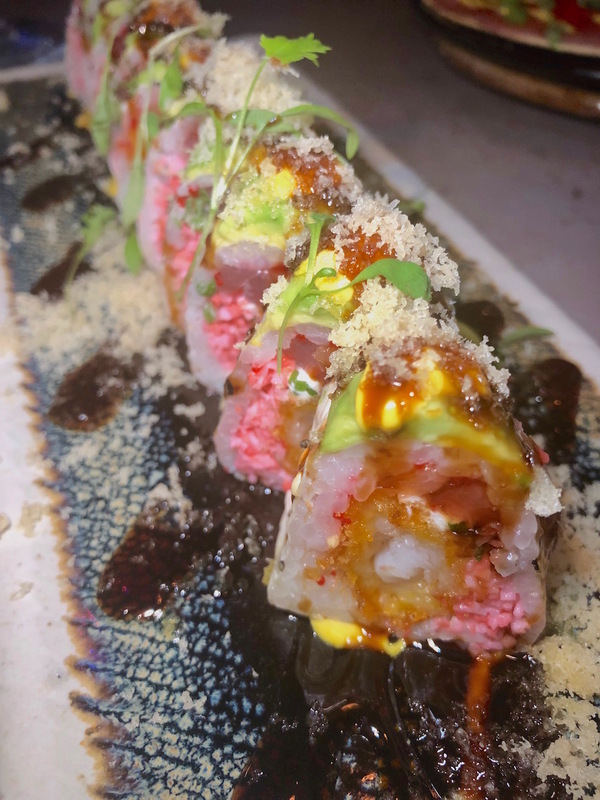 Another must-try is the Crudos Roll, an unforgettable house specialty! 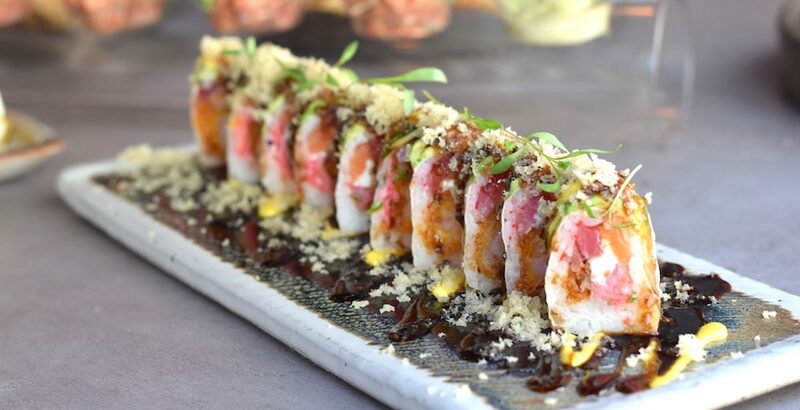 This roll has all the flavor and texture with a combination of fish, cream cheese, and shrimp tempura, topped with avocado, aji Amarillo sauce, and tempura flakes. How to score a table: Walk-ins are welcome, but we always recommend a reservation. Don’t miss their happy hour specials Sunday through Thursday from noon until 7PM, when selected bar bites and drinks are just $7 each!